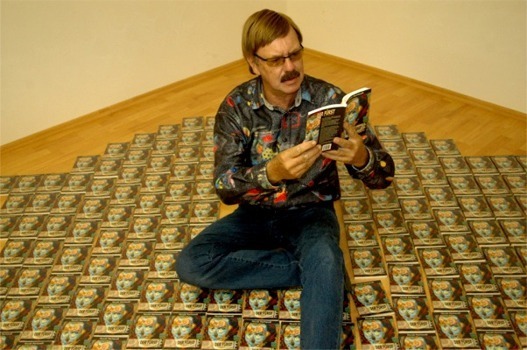 Werner Horvath: "Friedrich Nietzsche - the Three Metamorphoses". Oil on canvas, 50 x 40 cm, Crete 2005. "Of the three metamorphoses of the spirit I tell you: how the spirit becomes a camel; and the camel, a lion; and the lion, finally, a child." 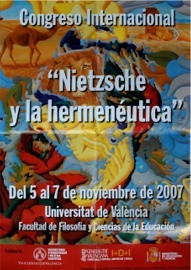 This painting was the official image for the programme and the poster of the international congress "Nietzsche y la hermeneutica", held at the University of Valencia from Nov.5th to Nov.7th, 2007. 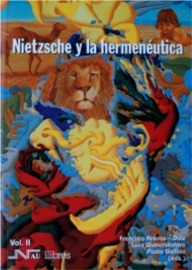 It is also placed at the cover of the book "Nietzsche y la hermeneutica" by Francisco Arenas-Dolz, Luca Giancristofaro and Paolo Stellino (ISBN13: 978-84-7642-744-8). 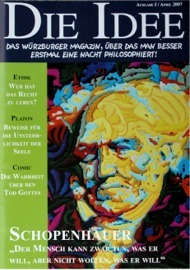 The painting was also published in the magazine "Educação" (http://revistaeducacao.uol.com.br/ ), ISSN 1415-5486, special edition on Friedrich Nietzsche, published by Editora Segmento, in São Paulo, Brazil, 2007. This painting is also piblished in "The Hedgehog Review - Critical Reflections on Contemporary Culture" Volume 17, Number 3, Institute for Advanced Studies in Culture, University of Virginia, in an article by Matthew Scherer: "Nietzshe's Smile". ISSN 1527-867X, Charlottesville 2015. Werner Horvath: "Niccolo Machiavelli - The Prince". Oil on canvas, 50 x 40 cm, 2002. 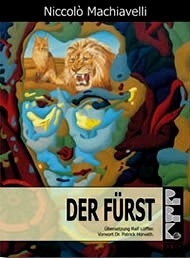 This painting is the cover-image of the book "Niccolo Machiavelli - Der Fürst", RaBaKa-Publishing, ISBN: 978-3-940185-05-1, 2007. It is included in "Worldviews: Contact and Change" by A.Fitton, D.M.Goodman and E. O'Connor, a Grade 8 social studies textbook published by Pearson Education, Toronto, Canada, ISBN 978-0-13-198719-7, 2007. It is also published in "politik & kommunikation", a political magazine by Helios Media, illustrating the article "Sei Löwe, sei Fuchs!" by Marco Althaus and in the magazine "Charakter", March 2010, illustrating the article "Das Phänomen der Macht" by Vanessa Pegel (Göttingen 2010). Werner Horvath: "Voltaire". Oil on canvas, 60 x 50 cm, 2005. 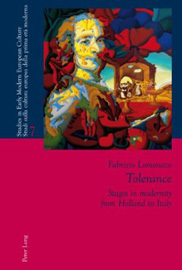 This painting ws published as the cover image of the book "Tolerance" by Fabrizio Lomonaco, Professor of History of Philosophy at the University of Naples. Peter Lang, International Academic Publishers, Bern 2013. ISBN 978-3-0343-1248-6. Werner Horvath: "Sir Charles Popper: Plato's Fall and the Falsification". Oil on canvas, 50 x 40 cm, 2000/01. 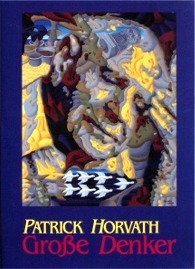 This pictures is the cover-illustration of the book by Patrick Horvath: "Große Denker", Selva-edition, Amstetten-Linz 2003, ISBN.3-9010-4045-5. It is also published in "Philosophie 1 - Raison, verite, connaissance" by Michel Larocque and Vincent Rowell, Beauchemin, Cheneliere Education, Montreal - Quebec, Canada, ISBN 978-2-7616-4619-2. Werner Horvath: "Thomas Hobbes - Leviathan". Oil on canvas, 50 x 40 cm, 2001. Werner Horvath: "Garden of Peace". Oil on canvas, 60 x 80 cm, 2002. This painting is used as a cover illustration of the CLIO event program 2014, a non profit organization. The picture is also published in the book of the University "Sapienzia" of Rome "Visione politica e strategie linguistice" by Donatella Montini, in the chapter "Una civilta della parola: il discorso nonviolento di Hannah Arendt" by Stefania Porcelli, 2010 Rubbettino Editore, Soveria Manneli (ISBN 978-88-498-2718-7), in the book "Große Denker" by Patrick Horvath (edition Selva, ISBN 3-9010-4945-5), and in the magazine "Abenteuer Philosophie" 138/2014, p.6. Werner Horvath: "Endpoint of Evolution?". Oil on canvas, 50 x 40 cm. This painting was published as the cover image of the magazine "bruno" of the bsa OÖ 02/2011, GZ 02Z0303078, concerning the situation in Fukushima. Werner Horvath: "My World of European Medicine". Mixed media on canvas, 100 x 100 cm, 2012. Werner Horvath: "Roses for Nina". Acrylic on canvas, 80 x 60 cm, 2007. This painting was published as cover image of the magazine "Arzt und Praxis", 9/17, 71.Jg., Vienna, Austria, 2017. Werner Horvath: "Ernst von Glasersfeld". Oil on canvas, 50 x 40 cm, 2005. 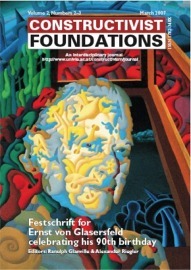 This painting was published as the cover-image of "Constructivist - Foundations", Vol.2, Number 2-3, March 2007, Festschrift for Ernst von Glasersfeld, celebrating his 90th birthday. 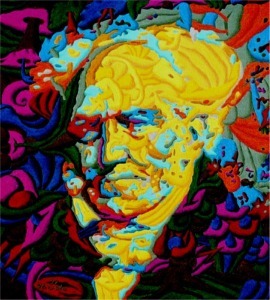 Werner Horvath: "Arthur Schopenhauer". Color pencils on paper, 30 x 30 cm, Crete 1999. 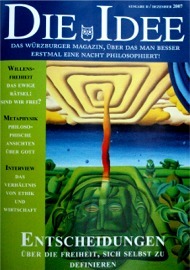 This drawing is the cover-image of the magazine "DIE IDEE", number I, Würzburg, April 2007. Werner Horvath: "Who am I? (Agamemnon's Death Mask)". Oil on canvas, 50 x 40 cm, 1992. 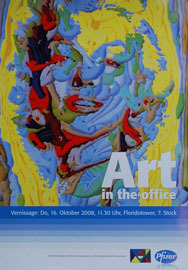 This painting was chosen for the cover-image of the magazine "DIE IDEE", number II, Würzburg, December 2007. 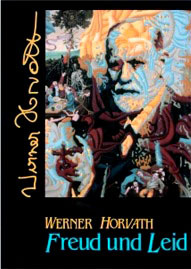 Werner Horvath: "Sigmund Freud". Oil on canvas, 50 x 40 cm, 1994. 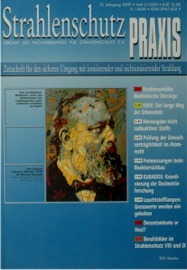 The painting "Sigmund Freud" is the cover-illustration of the book "Freud und Leid", Selva-edition, Amstetten-Linz 1999, ISBN.3-9010-4040-4. It is also published in Heber Ferraz-Leite: "Malende Ärzte Österreichs", Selva-edition, Amstetten 2000, ISBN.3-9010-4041-2 and on the cover of this book you find a part of the painting - the hand holding the cigar. 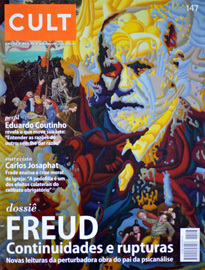 The painting also is used as cover image of the Brazil magazine "CULT", 147, June 2010, ISSN 1414707-6. 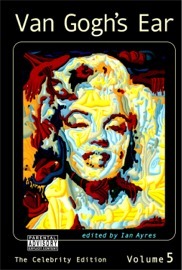 Werner Horvath: "Marilyn Monroe". Oil on canvas, 50 x 40 cm, 1994. This painting is the cover image of the book "Van Gogh's Ear - The Celebrity Edition", edited by Ian Ayres, Committee on Poetry - New York and French Connection Press - Paris, 2006 (ISBN 2-914853-07-6). 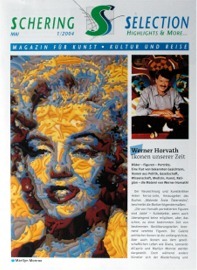 Werner Horvath: "Marilyn Monroe". Oil on canvas, 105 x 82,5 cm, 1997. This picture was published several times, eg. 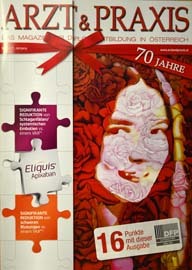 as the cover-mage of the magazine "Schering Selection", 1/2004. 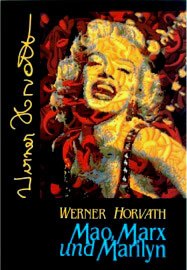 Werner Horvath: "Film-Marilyn". Oil on canvas, 105 x 80 cm, 1999. This picture is the cover-illustration of the book "Mao, Marx und Marilyn", Selva-edition, Amstetten-Linz 2001, ISBN.3-9010-4043-9. 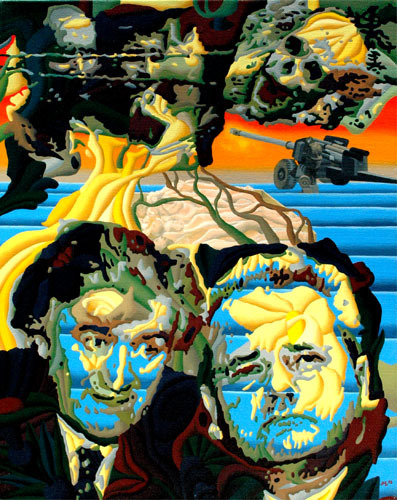 It was part of the poster for the exhibition "Malerei und Satire zur Zeit", held at the Castle of Hagenberg, Upper-Austria, 1999. It also appeared at the poster for the exhibition "Menschenbilder", held at the Siemens-Forum and at the Casino in Linz, Austria, 1998. Werner Horvath: "Pollution". Oil on canvas, 50 x 40 cm, 1993. 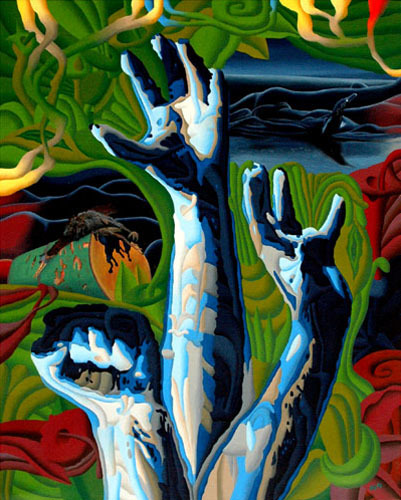 This painting is the cover image of the book "Introducing Human Rights" by the South Asia Human Rights Documentation Centre, Oxford University Press, India 2006 (ISBN 9-780195-68147-5). Werner Horvath: "The Surgeon Theodor Billroth". Oil on canvas, 50 x 40 cm, 1994. 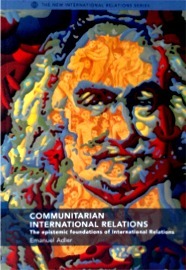 Horvath's Billroth-portrait is the cover image of the journal "StrahlenschutzPRAXIS" 3/2009 (ISSN 0947-434 X). 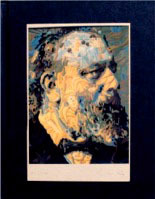 This picture is also published in Karel B. Absolon: "The Belle Epoque of Surgery - The Life and Times of Theodor Billroth" as cover-illustration, Kabel Publishers, USA 1995, ISBN.930329-64-3. Werner Horvath: "Professor Friedrich Olbert, Father of Interventional Radiology in Austria". Oil on canvas, 40 x 30 cm, 2000. 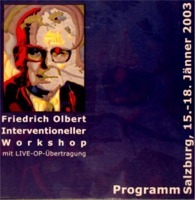 This picture is the cover-illustration of the annual "Friedrich-Olbert-Symposium", a medical interventional workshop, since many years. In 2007 the congress will be held in Munich. Werner Horvath: "Pain - If I could only pray". Oil and acrylic on canvas, 127 x 67 cm, 2011/12. 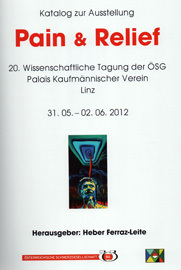 This picture is the inner cover-illustration of the catalogue "Pain and Relief" by Heber Ferraz-Leite, Vienna 2012. Werner Horvath: "Monster-Plants: SS-Doctor Josef Mengele". Oil on canvas, 50 x 50 cm, 2004. A very critical portrait of the infamous doctor of Auschwitz, commonly referred to as the "Angel of death". 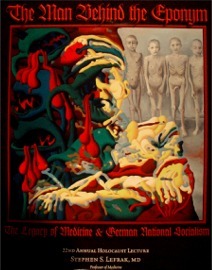 This painting has been the official poster of the annual Holocaust Memorial Lecture at Washington University School of Medicine in St. Louis Missouri, held by Stephen S. Lefrak, Professor of Medicine, Assistant Dean and Director. This lecture was initiated 25 years ago to remind the academic medical community of the prominent role that physicians played in the events of 1933 - 1945 which resulted in the destruction of the disabled, the Roma and the Jewish people in Europe. Werner Horvath: "Aphrodite of Knidos". Oil on canvas, 50 x 40 cm, 1992. This picture is published several times, eg. 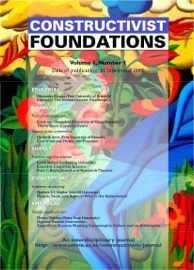 as the cover-image of "Constructivist Foundations", Volume I, 2005. Werner Horvath: "Juan Ciudad". Oil on canvas, 50 x 40 cm, 1994. The original painting is in private property of the order "Brothers of St. John of God" in Austria. It was the official poster for the congress "500 Years St. John of God", held at the hospital of the Brothers of St. John of God in Linz, Austria, 1995. 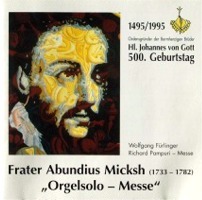 It is also the cover image of the CD "Frater Abundius Micksh - Orgelsolo - Messe", performed by Wolfgang Fürlinger. Werner Horvath: "St. John of God". Oil on canvas, 120 x 100 cm, 1997. The original painting is in private property of the order "Brothers of St. John of God" in Linz. 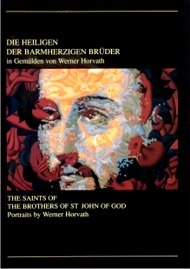 It is the cover image of the book "The Saints of the Brothers of St. John of God - Portraits by Werner Horvath", edited by the Hospitaller Brothers of St. John of God, Linz, 1999. 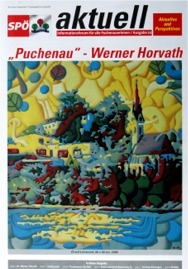 Werner Horvath: "Puchenau". Oil on canvas, 60 x 50 cm, 2006. 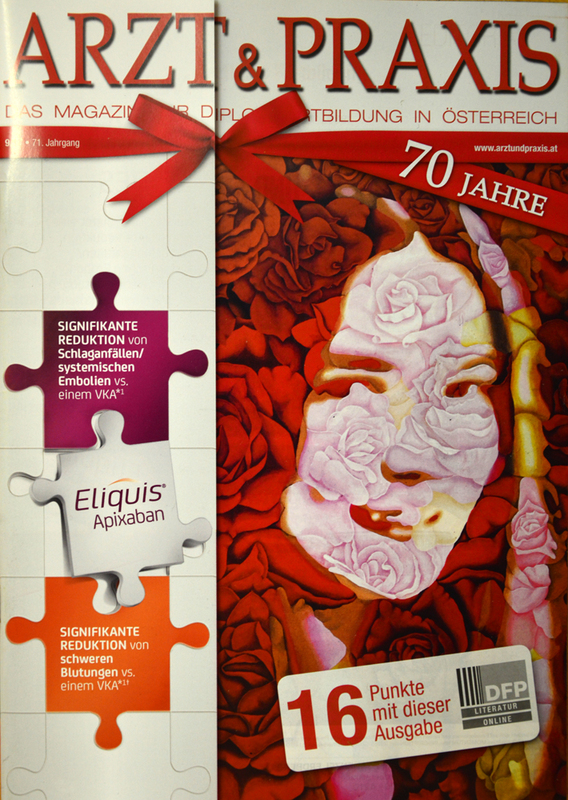 This painting is the cover image of the magazine "SPÖ - aktuell", number 20, Linz, 2007 and of the "5. 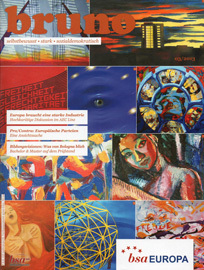 Puchenauer Kunstkalender 2008". It is also published in some more issues of "SPÖ - aktuell". Werner Horvath: "War on the Balkans". Oil on canvas, 50 x 40 cm, 1993. 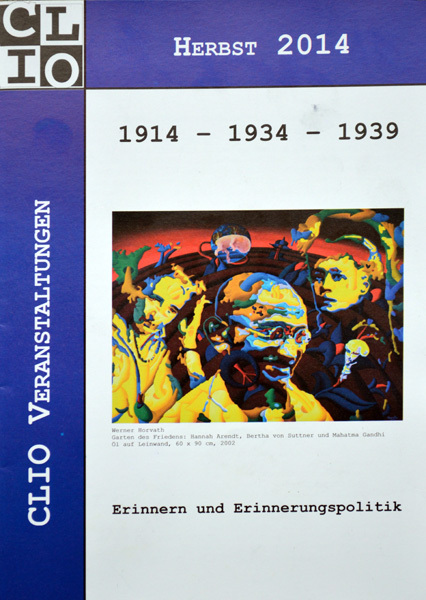 This painting is the cover image of the conceptual work in History "Überblick über die Balkankrise seit 1989" by Danielle Siegenthaler and Karsten Steiger, University Bern, 2005. Werner Horvath: "Gulf War". Oil on canvas, 50 x 40 cm, 1993. 'Gulf War' depicts Iranian revolutionary leader Khomeni, Iraqi leader Saddam Hussein and former US President and DCI George Bush. World opinion has shifted dramatically in the post Gulf-War era due to the moral ambignity of the estimated 750,000 Iraqi civilian deaths brought about by heavy handed US-led Iraqi sanctions imposed fundamentally to ensure cheap access to Middle-Eastern oil. This painting is the cover image of the essay by Steffanie McKenna "How current events influence artists and their work" for reaching BTEC in Art and Design at Telford College in Edinburgh. Werner Horvath: "Liberty". Oil on canvas, 50 x 40 cm, 2005. 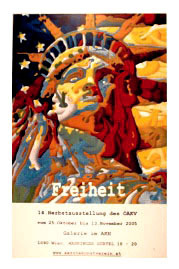 This painting was published at the official poster for the exhibition "Freedom" , 14th autumn-exhibition of the Austrian Medical Art Club , Gallery of the University Hospital, Vienna, 2005. 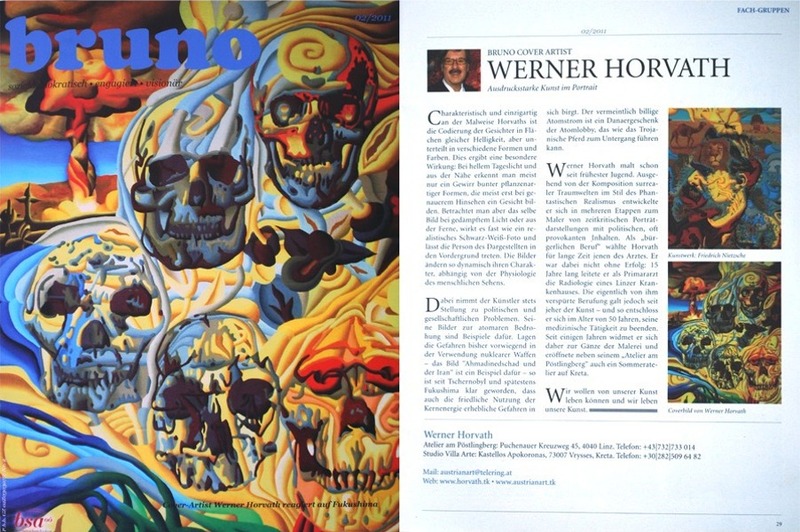 Werner Horvath: "Blue Marilyn" and "Deeply frightened Salvador Dali". Both oil on canvas, 100 x 70 resp. 50 x 40 cm, 2000. 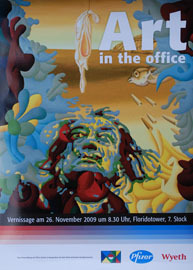 These two paintings were published at the official posters for the exhibitions "Art in the office I" and "Art in the office III", Pfizer Corporation, "Florido Tower", Floridsdorfer Hauptstraße 1, 1210 Vienna in 2008 and 2009. Werner Horvath: "Charles Robert Darwin - Evolution". Oil on canvas, 70 x 50 cm, 2006. This painting was used at the conference Darwin 09 - Trends in Complex Systems, held in Palma di Mallorca from 23rd to 27th November 2009. It was printed on T-shirts for the participants of the congress.